Zirconia Alumina, Y-wt. 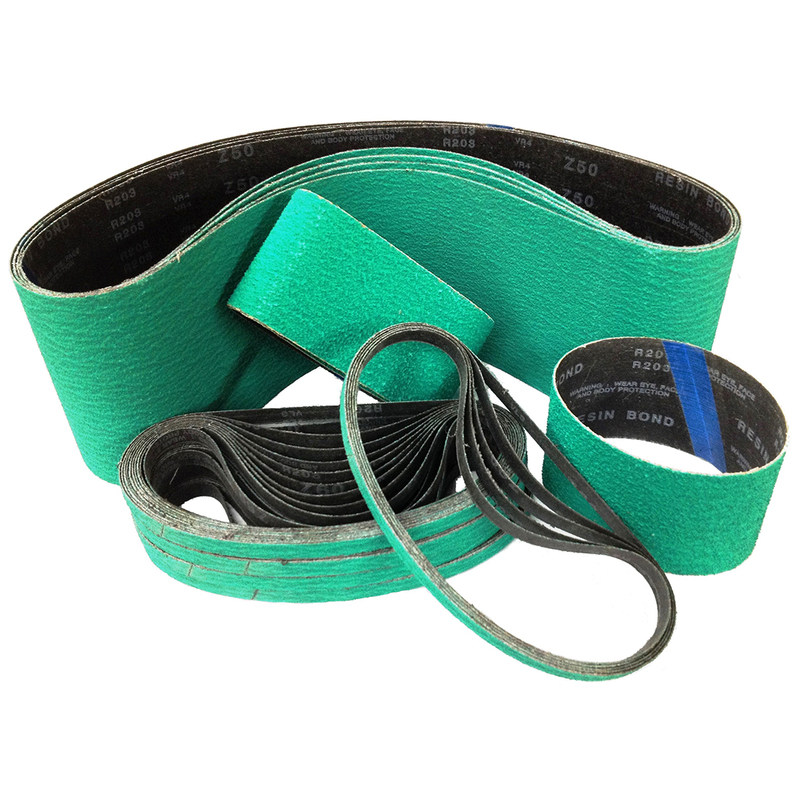 100% Poly, 24-120 grit: This is the “Original” Green Belt. Today it is still the top performing Zirc belt on the market. Featuring a durable polyester backing, and top sized grinding aid that helps reduce work piece temperatures. Heavy pressure helps to properly break down the grains and keep this belt sharp. Great for all your hardest to grind metals, and even excels on aluminum, due to the grinding aid which helps prevent loading. Dry use only. Good for both narrow & wide belts.